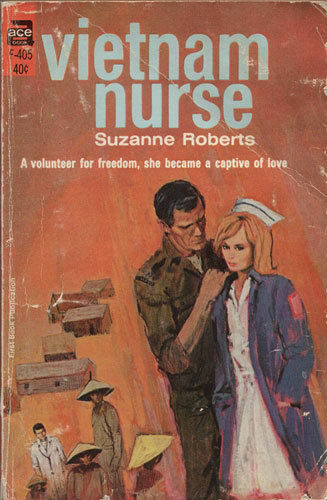 A volunteer for freedom, she became a captive of love. Army Nurse Kate Brannon expected hardships when she shipped out to Vietnam. But she had not anticipated the battle that raged in her heart when she found herself torn between two men: the Bostonian doctor, Major David White, and the rugged young officer, Steve Caine. Even in the midst of war’s grim chaos, Katie realized that for her there was an equal menace in the threat of impending heartbreak. 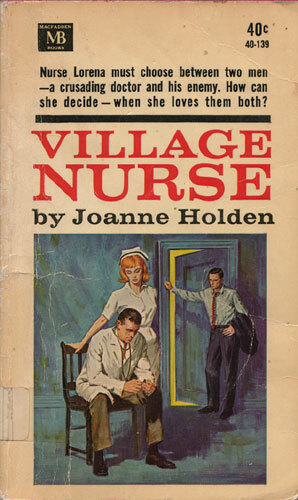 Nurse Lorena must choose between two men — a crusading doctor and his enemy. How can she decide — when she loves them both? Tragedy had struck! Lorena read it in Deke’s glazed eyes. He had lost his battle to clean up River Street. And failure could mean an epidemic. As Deke’s office nurse — and the woman he loved — Lorena had to help him. There was just one way. The one who could save him was Beat Wetherill, the richest man in town. Lorena would go to him — and plead. But she was asking for trouble. Beat Wetherill — once Deke’s friend — was now his enemy.